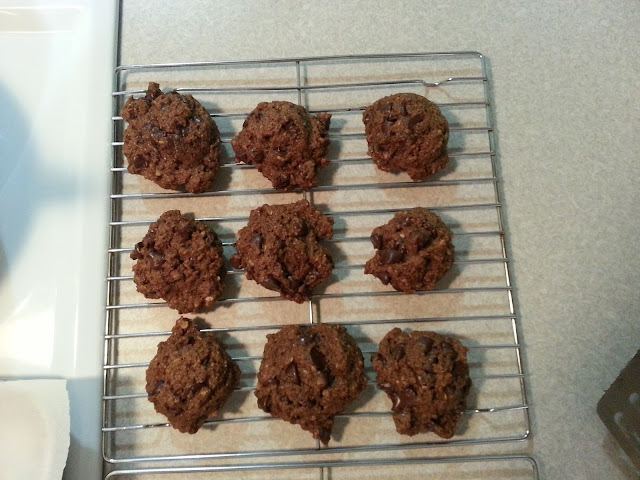 Yeah, it's kind of a long name for a cookie recipe, but I'm telling you these cookies are pretty darn good! Not only are these cookies healthier than most, they taste great too! The pictures don't do the cookies justice. Someday, maybe I will be able to afford a nice camera. For now though, the camera phone will have to suffice. 2. 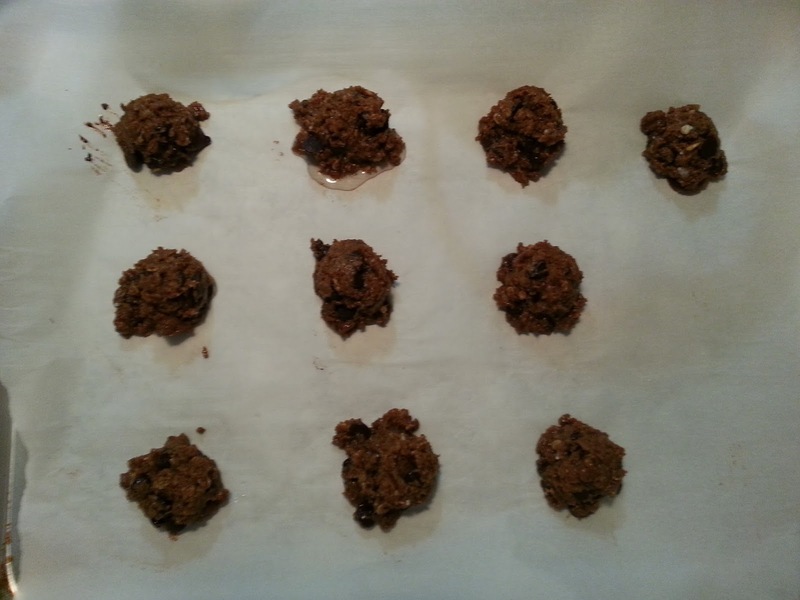 Mix dry ingredients (whole wheat flour, oats, baking soda, and salt) together and set aside. 3. In another bowl add coconut oil and sugar and beat for about a minute. Add in pumpkin puree, chia egg, vanilla, and molasses. Beat until combined. 4. Add wet ingredients to dry ingredients and mix until incorporated. Fold in dark chocolate chips. 5. Line cookie sheet with parchment paper and using a small cookie scoop place balls of cookie dough on cookie sheet. 6. Bake cookies for 12 minutes. 7. Once the cookies are done, place them immediately on a cooking rack. 8. Eat to your hearts content! Enjoy! * A chia egg is made by mixing 1 tablespoon of chia seeds with 3 tablespoons of cold water. Then you want to let it sit in a cold place for about 5 minutes, it will turn to a gel like substance. I like to put my chia egg mixture in the freezer. If you don't like chia seeds, you can always use a real egg.